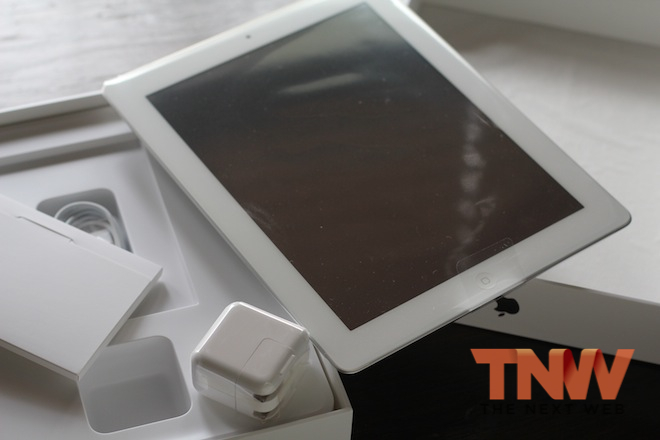 Apple’s new iPad has captured nearly 5% of the market and is climbing at a steady rate, according to live metrics from advertising network Chitika. 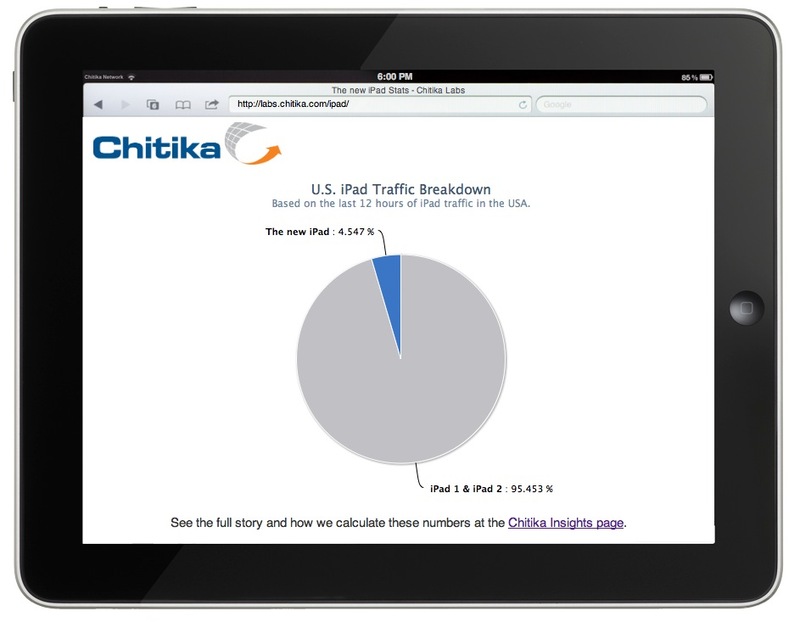 The company is analyzing iPad traffic over its network in 12-hour segments to track the adoption of the new iPad. The live graph up at the network’s New iPad Tracker shows that Apple’s new tablet has captured as much as 5.26% of internet traffic that touched its code in the last 12 hours. This shows a remarkable adoption of the new iPad in the US so far, and could mean that Apple has sold millions of the new tablet so far. The network explains its methodology in gathering the numbers here. Basically it identifies the new iPads through the use of their ‘user agent’ that pass long a string of data identifying the hardware. It then narrows them down geographically to the U.S. based on network locations that they access the data from. It also checks the pixel density of the ad impression, as the new iPad still reports at 1024×768, much like the old one, but shows a detectable increase in density. The chart is updated live and shows the ‘current’ percentage over a rolling twelve-hour average of iPads on the internet in pie-chart form. The line chart above shows the number it charted on a per-hour’ basis. The network says that it will continue to delve deeper starting tomorrow, Monday the 19th, presenting the results in a state-by-state breakdown as well. Apple normally shares early sales numbers in the days after launch weekend, so we may get some official numbers from the company soon, perhaps even tonight. Until then, you can hit up the live tracker here if you want to see how the new iPad is doing in the US.